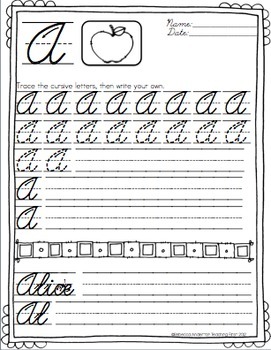 This adorable packet introduces each letter of the alphabet in cursive! 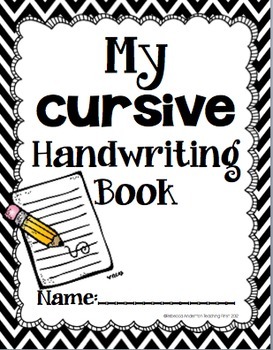 With 110 pages, you can use this all year long! 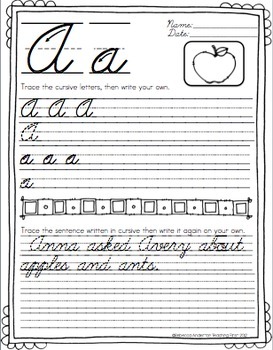 There are four pages for each letter, including the capital letter, lowercase letter, combined upper and lowercase and sentence writing, and writing words beginning with the letter. 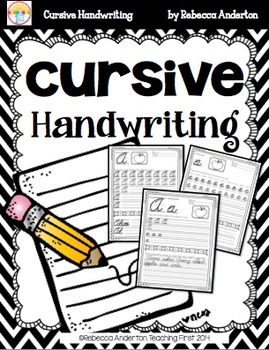 You may make multiple copies for your classroom use only.